Marvel Reveals New INFINITY WARS PRIME #1 Cover by George Perez & Richard Isanove! The cosmic adventure from Gerry Duggan and Mike Deodato Jr. starts this July! From acclaimed creators Gerry Duggan (Deadpool) and Mike Deodato Jr. (Old Man Logan) comes a story so cosmic and so explosive, it will change everything. This summer, the Infinity Countdown ignites…INFINITY WARS! And it all kicks off with INIFINITY WARS PRIME #1! 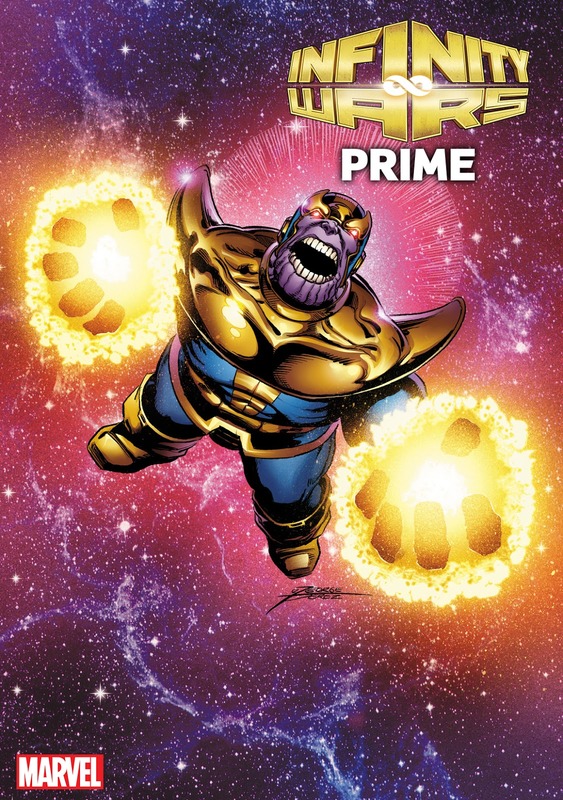 Check out a new variant cover by superstar artist George Perez with colors by Richard Isanove, and don’t miss INFINITY WARS PRIME #1, in comic shops this July!